Many people like to take path of entrepreneurship. And the reasons for doing it may vary – either their job is not enough, or they don’t like it or they simply don’t have a job and naturally need a source of income to live…. But many a times individuals who have been working all their lives for others don’t know how to start a business and think that starting a business always require huge investment. If you want to open restaurant or a car repair shop, it is obvious that good capital to rent/buy the premises, buy necessary machinery, and hiring employees is required. But thanks to the internet. With new technologies it is now easier than ever to start a business with very little money in the bank. 1. What do you know how to do and what is your passion? This is the first thing you should be clear about before starting a business. If choosing entrepreneurship and thinking only about the money it will generate, then better get a well-paid job. There are many people choose their business idea based only on profitability and the income they would earn. And most of the times, such people have to close their businesses within a few months of starting. A business isn’t just about making money. It’s actually a long lasting project which serves a purpose, requiring 100% involvement, everyday work, strength to overcome the obstacles faced along the way. And if you choose doing business, thinking about how rich it will make, very soon you will start to hate it. You will see it as one more uncomfortable job and will abandon it because of lack of motivation. Business idea is something that you are passionate about, that you like. It is about something that you already know and how to do. Take paper and pencil. And in one column write all the things you like, and in another all those you know how to do. Write a minimum of 10 ideas in each column. And then see how to apply the skills possessed. If you like to talk to a lot of people, and know how to decorate a house to make it look nice, a business idea for you might be to organize events like weddings, birthdays, etc. If you like technology and have good knowledge of computers, you can create own blog, e-commerce website, build applications, or conduct online courses to teach others about computers. Remember that putting a business idea in the beginning will consume a lot of time and energy. But it is a one time effort and completely worth. And that’s why always choose something motivating and exciting. So write down everything that can be though of on a another piece of paper, and then go to the next step. 2. Is your business idea realistic? 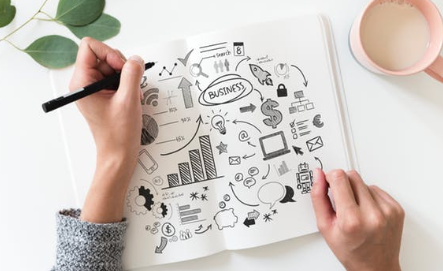 Before starting to prepare everything to launch a business, it is very important to do a thorough analysis on whether the chosen business is realistic or not. During the first few months, will I be able to manage entrepreneurship on my own? Is it a business for which I will need money? Are the savings I have enough? Is it something people would pay for? Will this business give me enough profits to live on? Will I continue working in this business 5 years from now? These are very important questions anyone should answer HONESTLY for a successful venture. 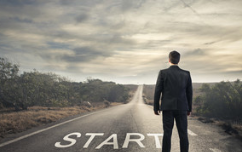 If money to start business is not sufficient, the first few months you will have to do it ALL. So be prepared to bear pressure until you hire someone for assistance. Check the capital you have. If money is not sufficient, starting something big like a physical store where expenses for rent, items, etc., will be difficult unless borrowing money from the bank. It’s also important to think whether customers would be willing to buy what you want to offer. You may think your idea is fantastic, but that doesn’t mean that the whole world will be excited about it. The best way to find out is – carry out a market study and analyse who your buyers would be, their purchasing power, whether they buy products or services similar to yours, etc. 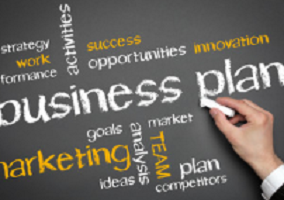 A business plan is VITAL in any type of enterprise – small or big. It is like a map that will tell you the steps to be taken, allowing you to make a prediction. 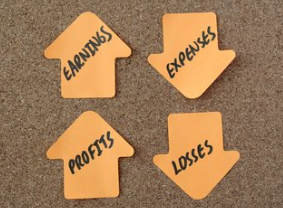 Even if you want to start a business with a very little money, it is important to calculate all the possible expenses. If company is going to be online, calculate costs such as hosting and domain of the website, shipping if you’re going to sell physical products, the price of materials if you’re going to manufacture the items, etc..
Then calculate the selling price for each product or service. And subtract cost of manufacturing to arrive at the net profit for each item. Analyze which market you are going to operate in, who the ideal customer is, and whether or not that buyer is willing to buy and pay for the products. Who is going to buy my products? Are they men, women, or child? What are their interests and tastes? Why will they buy from me and not competitors? If you’re going to make the products or offer services, you can move on to the next point. But if you’re going to buy the items to sell, look for good suppliers providing the required items. Be sure to contact multiple suppliers to understand difference in the budget. And don’t be afraid to ask things like whether they discount for a certain number of units, or what their return policies are. Perhaps one of the most important part of the business plan is marketing. The advertising for the venture is what will attract the customers. For example, a restaurant needs this push to attract customers. Therefore, it is recommended to at least follow marketing rules. Establish good strategies to determine what means will be used for promotion, how it will be promoted, messaging to reach potential buyers. The marketing techniques and media used must be appropriate for target customers. For example, if the target customer is young individuals accustomed to using new technologies; the most logical thing will be to use social networks and internet to advertise. Competition is another key point which should not be ignored. But don’t be afraid: if competition already exists. It also means that there is also a good market for customers wanting product/service. The important thing is analyzing the differentiating factors from your competition. i.e. what you offer and not the other competitors. Once business idea is ready, verified to be realistic and ready with complete business plan, it is time to think where to establish the business. If you have little (or no) money, it won’t be possible to rent/buy a physical location, for example, because of the expenses involved. Even if you have already bought a place or a relative lends money without having to pay the rent, you should think that it will entail expenses such as electricity or water that you won’t be able to pay initially. There are solutions to every problem. And this applies in case of business as well, when the capital available is small. Ever thought of setting up business in your home? If you have a spare room, barely used, a well-conditioned garage, or entrance to the house is large, you can start business there. In fact many successful businesses such as Microsoft, Amazon, Google….all started from a garage. These spaces in your home can be very useful especially for public-facing ventures in which contact with customers is essential. But if you are going to start a business in which you don’t need to deal with the buyers, undoubtedly the best option to achieve it is the website. The great advantage of making a blog or a website is that you won’t need anything except a computer and internet connection to get started. It will be enough to buy domain and hosting, install a platform like WordPress or Woocommerce, and choose a design. Once that is done, add all the required elements – an online store with thousands of products, a contact section, a small blog to talk about the products or services…. Another benefit of website is market can be expanded to the entire world. Customers can buy products from any country and at any time. So the benefits will be much greater. Later, when online business is successful and money earned is enough, you can expand it to the physical store. Maybe when you start business you realize that even if you don’t need a lot of money, you will need a small amount of capital to get started, especially if you are going to offer products that you have to buy from suppliers. And surely if you’ve come to this article is because you want to start your business, but without borrowing money from a bank. However, think carefully about this, because a little financial help can come in handy to get your idea off the ground, and there are many alternatives to banks with which you can achieve it. Today there are all kinds of organizations that want to help new entrepreneurs build their businesses. And there are also other types of aid to boost your business. One of these aids is crowdfunding. But don’t forget about official bodies such as the governments of each country, usually offering subsidies to small companies without the need to return that money. So if you think that a small economic aid (between $500 and $3,000) is what you need to boost your business, don’t hesitate and look for alternatives to traditional bank loans. After all the above steps, you’re ready to set it all up and open the doors to the audience. If you decided to start business at home, choose the room in which you are going to establish it. Decorate and condition that space nicely to attract clients. And start promoting yourself in different media to capture the first clients. If you are going to create a blog or a website, choose your domain and hosting, configure so that it looks like you want, and open profiles in social networks like Facebook, Twitter or Instagram to advertise. You should not be afraid or doubtful at this moment. Because you have already decided that you want to start business. Now it’s your turn to act and take action in a planned manner. A delay in opening the business even by a day will be a lost day. And you will be farther away from the dream if you let too much time to pass. Although there are many entrepreneurs who don’t give importance to this. The truth is, payment method is extremely important. After all – Customer is King and payment is your bread and butter. So provide as much convenience to the customers. In fact, this can be a distinguishing factor when competing with others. 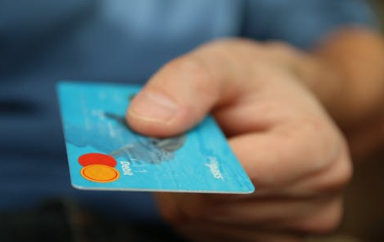 If starting a business from home or dealing face to face with buyers, the normal thing is to charge in cash or card. You have to think carefully about all the forms of payment, available in the country serviced and safer for both – buyer and seller. For example, PayPal is one of the safest payment methods for buying or selling online. In fact it is the most widely used payment method in the world. But there are countries where PayPal does not allow to withdraw money from a bank account, and the commissions are usually a little high (3.4% of each sale). Bank deposits or transfers are a good method because money gets deducted directly. But if the customer belongs to another bank or is outside of your country, it becomes expensive to carry out transaction and customer may end up not making the purchase. However, another good form of payment is credit or debit card. So the buyer can pay immediately, and is quite reliable and secure. So bottom line is to analyze all the payment methods, benefits and disadvantages especially for the customers. It is recommend that you accept different forms of payment. Because this will attract more customers as they are given multiple convenient options to make a payment. It is no longer necessary to invest large amount of money for advertising to attract customers. This can now be done by opening a Facebook page, upload photos, offers and news about the products, as well as other social networks such as Instagram, Twitter, or even Snapchat. 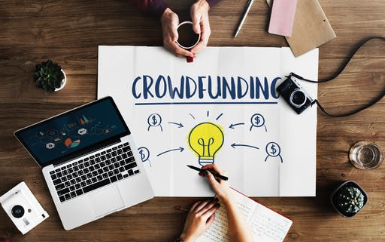 But there are other alternatives such as sending products to a blogger or youtuber to spread news to its followers, email advertising, or even collaborating with other businesses. Today business can be created for less than $4 per month by buying a hosting and a domain and launching a website. And it takes less than 3 hours to go online. Not having money is just an excuse to not start a business. There are successful businessmen today, who have created great companies with hard work, untiring efforts, minimum support, small financial backing and with a long term vision. So if others can create enterprise and generate enormous wealth more than what is required for living, why can’t you do the same? Everything is in the mind. Never let your mind create a barrier. Remember, you are the owner of life and the one who makes life’s decisions. It’s easier and more comfortable to continue in the current situation, blame life, circumstances, boss, or the money you’ve had to live like this. But realize that these are really just excuses created by you. It could be because of fear, insecurity…..creating obstruction for moving forward in life. So final decision is up to you. Either you keep complaining about everything and stay where you are. Or Stop complaining and start business to improve life from now on.